People fed up with unwanted telemarketing can sign up Friday for a national do-not-call list that will block many sales calls. The Federal Trade Commission said Thursday it will launch the free service, first proposed last year, with a White House ceremony led by President Bush. In a related action, the Federal Communications Commission moved to plug holes in the list's protections. The agency voted 5-0 to include in the program industries whose calls it regulates, including airlines, banks and telephone companies. The FCC action also would cover faxes and calls made from within a state — the FTC could only police interstate calls. "No longer will consumers be forced to endure unwanted telephone calls," said FCC Chairman Michael Powell. Telemarketers may attempt up to 104 million calls to consumers and businesses every day, the FCC said, citing industry estimates. Consumers may sign up for the registry on a Web site by providing the phone number they want protected and an e-mail address so they can receive a confirmation message, the FTC said. The only identifying information kept will be the phone number. Telephone registration using a toll-free number will begin at the same time in states west of the Mississippi River, including Minnesota and Louisiana, the FTC said. Nationwide registration should be available about 10 days later. Consumers will have to call from the number they want to register. The Web site and phone number have yet to be announced. The government says consumers who register should see a decrease in telemarketing calls after it begins enforcing the do-not-call list in October. The FTC expects people to register up to 60 million phone numbers in the first year, said agency spokeswoman Cathy MacFarlane. There are about 166 million residential phone numbers in the United States, she said. Of the states with do-not-call lists, 13 plan to add their lists of 8.1 million numbers to the national registry, three have legislation pending to allow them to share and 11 will not share the information, MacFarlane said. Consumers on state lists added to the national one do not need to register again. 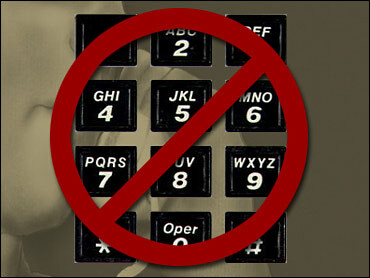 While the national list is intended to block most telemarketing calls, there are limits. A company may call someone on the no-call list if that person has bought, leased or rented from the company within the past 18 months. Telemarketers also may call people if they have inquired about or applied for something from the company during the past three months. Charities, surveys and calls on behalf of politicians also are exempt. Consumers on the list can give written permission to get calls from certain companies. Beginning in September, telemarketers will have to check the list every three months to determine who does not want to be called. Those who call listed people could be fined up to $11,000 for each violation. Consumers would file complaints by submitting the company's name and phone number to an automated system by phone or online. People would have to renew their registration every five years. Congress authorized the FTC to collect up to $18.1 million from telemarketers to pay the program's expenses in the first year, MacFarlane said. The telemarketing industry says the registry will devastate their business and have sued the FTC on grounds the program amounts to an unlawful restriction on free speech. In 2001, nearly 185 million people spent $270 billion on purchases that originated from telemarketing calls, according to the Direct Marketing Association.